A sensational discovery is made in a field by the Borre mounds in Vestfold County. 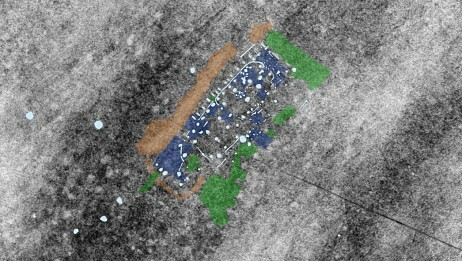 Ground-penetrating radar shows that there probably was a major royal residence in the field between the Borre Parish Church and the Borre National Park. The area was important for Viking chiefs on the west side of the Oslo Fjord, who lived here from about year 600 to 1000 A.D. The building is found right in what today is a vegetable field. It is 47 meters long and from 11 to 14 meters wide, covering an area of ​​about 650 square meters. – The discovery fills out the picture we have of the area. This is becoming quite spectacular, and it grows and grows, says Terje Gansum in VestfoldCountyMunicipality. He thinks the discovery dates back to the late 900s, but that there must be held an archaeological excavation to determine. – When can you start digging? – In a place like this, we have plenty of time. There’s no rush, says Gansum to NRK.no. It is an international research team from Vienna who found the royal residence by adopting a new archaeological method using snowmobiles and GPR. The international researchers have chosen to present the Borre findings along with new discoveries made ​​at the Stonehenge in the United Kingdom. Borre Mound Cementry Borre mound cemetery (Norwegian: Borrehaugene from the Old Norse words borró and haugr meaning mound) forms part of the Borre National Park in Horten, Vestfold, Norway. The park covers 45 acres and its collection of burial mounds is exceptional in Scandinavia. Today, seven large mounds and one cairn can be seen. At least two mounds and one cairn have been destroyed in modern times. There are also 25 smaller cairns and the cemetery may have been larger. Some of the monuments are over 45 meters in diameter and up to 6 meters high. 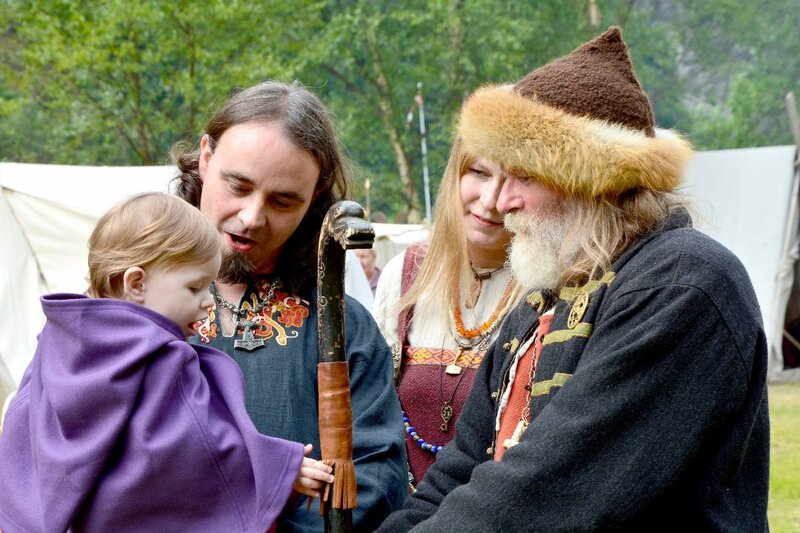 Borrehaugene provides important historical knowledge and can be seen as evidence that there was a local power center from the Merovingian period to the Viking age. so very interesting, I love your articles! Thank you so much for the compliment! We really appreciate it.